Lugging a few significant hardware upgrades and an extended screen, this Plus edition of the Moto G6 resembles a good number of high-level phablets. Its assortment of pros and cons, however, was not immune to a couple of hiccups. For example, its 3200mAh raw battery power is lower than what we expected, taking into consideration its screen size and processing specs. 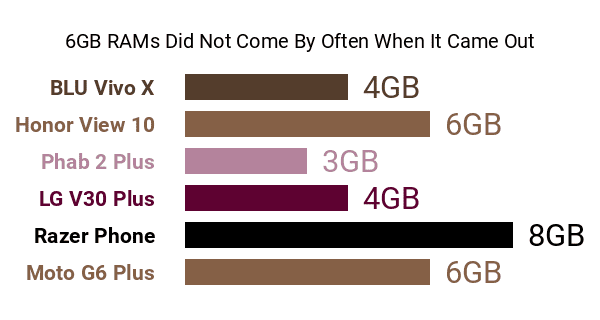 In fact, a lot of similarly-sized models that came out in 2018 safely pass the 4000mAh sweet spot for flagship contenders as of this data-driven review. We also feel like it could have reached for a premium Quad HD or QHD+ (1440p) definition on its 5.9-inch display, just like several other phablets with wide 18:9 aspect ratios -- after all, it's a Plus version. Instead, it sticks to its base model's FHD+ (2160 x 1080) screen resolution . Its key pros over the plain Moto G6 include a Snapdragon 630 eight-core 2.2GHz processor , replacing the slower 1.8GHz octa-core chip used by the G6, although it still shies of the engines powering the fastest phones on the market. It also comes with a robust 6GB RAM this time , a huge improvement over the G6's 4GB maximum RAM count -- a few high-enders pack premium 8GB RAMs, though. 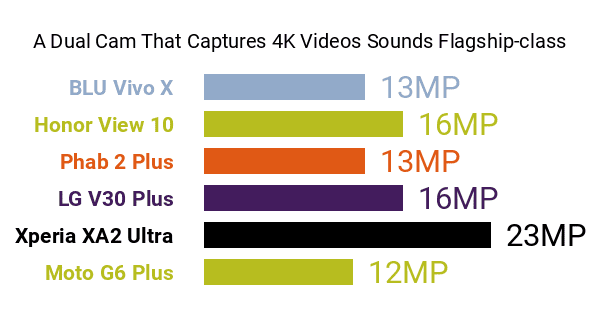 As for cameras, the G6 Plus is home to a rear-mounted dual camera made up of a 12-megapixel f/1.7 primary cam and a 5-megapixel deputy cam for depth analysis. It also features the Dual Autofocus Pixel technology , an Ultra HD (2160p) maximum video-recording resolution , and a dual-LED flash. Although its 8-megapixel front cam resolution is a slight blemish on its list of pros and cons, selfie addicts could still find some merit in its front-firing LED flash and beautification features . For storage, the Motorola Moto G6 Plus hits just the right mark with its 64GB internal memory and up-to-128GB external memory allowance, although we're not ready to tag it as a pro just yet, considering that a few of its contemporaries boast 128GB's worth of inbuilt memory. This Plus edition's feature set is sandwiched between a 3D glass backing and a Corning Gorilla Glass 3 panel , while a p2i-rated nano-coating makes it ready for accidental spills and light rain. It also offers facial recognition on top of standard fingerprint-based user authentication and it comes with a 3-microphone setup as well as Dolby Audio technology on the music front. 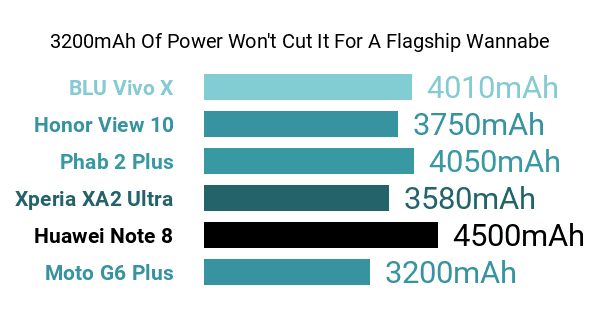 Overall, although it's not as ambitious as we had hoped in terms of stamina, the G6 Plus likely fares well versus many other high-end phablets, particularly when it comes to performance and imaging.